Registrations are open on time to! Registering for the Schneider Electric Marathon de Paris involves more than just a race number. We will assist you in your preparation all the way to the finish line. 97% of people who set off in the race in 2019 went over the finish line. Why not you? On April 5th, 2020 you’ll cross the finish line in the most beautiful city in the world. You’ll be immensely proud to have accomplished this fabulous challenge. To keep an unforgettable souvenir of your achievement, we are organising the “My Unforgettable Marathon" pack. As soon as you arrive at the Schneider Electric Marathon de Paris village until the celebration of your achievement, we are pulling out all the stops with the “My 5-star Marathon” pack, to offer you a service which will allow you to focus on one thing: your race! If you are a groupe of 20 riders and more, you can enjoy the same services with a groupe rate but only until registrations close. Contact us at parismarathon@aso.fr for more details. If you are an elite man /woman category runner or likely to obtain a preferential starting area, register in the yellow starting area, then upload the proof of your performance. We will validate your request in a few days once we’ve checked your supporting documents. If you are a disabled athlete in a wheelchair, please contact the FFH (Fédération Française Handisport - 44, rue Louis Lumière 75020 Paris) directly to find out the procedure to follow. As soon as you register for the Schneider Electric Marathon de Paris or at any time during your preparation, you can add options to your race number in your personal area on time to. The list of options on offer may change in the months to come, stay tuned! 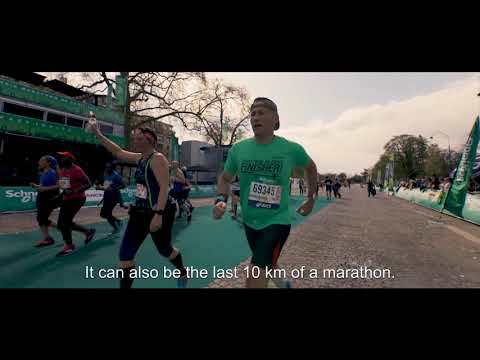 By registering for the Schneider Electric Marathon de Paris, guarantee your bib for the harmonie mutuelle semi de paris 2020 at a preferential rate. to confirm this prepaid bib and fill in your sport information, we will send you an email when the registration for the harmonie mutuelle semi de paris 2020 will be open. By registering for the Schneider Electric Marathon de Paris, guarantee your bib for the Paris Breakfast Run 2020 at a preferential rate. to confirm this prepaid bib we will send you an email when the registration for the paris breakfast run 2020 will be open. This keyring in the colors of the Schneider Electric Marathon de Paris will allow you to keep a nice souvenir of your participation. You wll have to collect iton the Salon du Running at the options withdrawal stand, we will not send it. 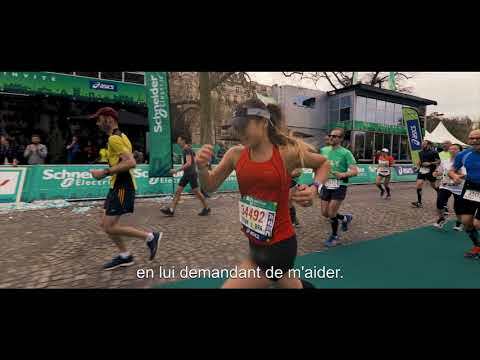 A unique product that represents a nice memory of your participation in the Schneider Electric Marathon de Paris 2020. This product will be withdrawn on the Salon du Running when picking bibs at the options withdrawal stand, we won't send them. By day or by night, in sunshine or rain, the scenic river cruise with commentary is an unmissable way to enjoy the most beautiful Parisian landmarks from a boat, whether as a couple, a family or with friends. Tickets withdrawal at Salon du Running only, at the options point, just after collecting your bib. Tickets non nominative, valid until the end of March 2020. The cruise takes about 1 hour 10 minutes and is comented in 6 languages. Departures every 30 minutes, from 10.15 am to 10 pm, from the Pont de l'Alma, close to the Champs-Elysées. Free map of the route, available in 25 languages. Open upper deck + enclosed and heated lower deck. Up to 1000 passengers by boat. This ticket includes a boat cruise + a tour of Paris by double-decker panoramic bus. You can get off and ride the bus at will at each of 50 stops spread over 4 circuits crisscrossing the historic and touristic center of Paris. You must collect your ticket on the Salon du Running at the options stand, just after collecting your bib. Receive tailor-made and premium servicesr that will make you wholeheartedly enjoy the race in the best conditions and keep an eternal and unforgettable memory of your feat in the most beautiful city in the world! A complete meal will be served in a convivial area within Salon du Running on April 2020 the 2nd, the 3rd or the 4th . You'll have to retrieve your ticket(s) at the options point in Salon du Running, just after collecting your bib. Order now your small plate that will be engraved with your name and finish time. The small plate will be engraved and sent by post. Your medal will be personalized and provides a last memento of your achievement. Discount price in presale at €10 or €13 after the race. Mouche specially reserved for the runners and their companions. You will set off from the Pont de l’Alma bridge around 20h30 for a 2 hour and 15-minute cruise in the heart of Paris and rediscover all the landmarks of the most beautiful city in the world (this time on the water! ): the Eifel Tower, Musée d’Orsay, Notre Dame Cathedral, the Hôtel de Ville, the Louvre, Place de la Concorde, Grand Palais, etc. The first starting areas (elite, preferential and red) are only accessible if you can present proof of performance. This is why you can't register for this yourself. If you think you belong to one of these groups, register in the yellow starting area and send us the proof of your performances to parismarathon@aso.fr. We will then change your position! As you may know, the vast majority of your usual insurance policies (particularly your car insurance, insurance provided automatically through your bank cards, household insurance, bank loan insurance, etc.) 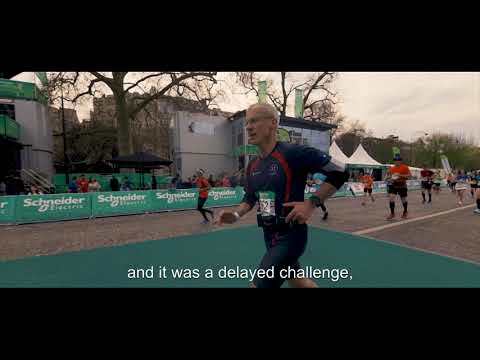 totally exclude any participation in sports events either on an amateur or professional basis, and therefore exclude the risks involved in your taking part in the Schneider Electric Marathon de Paris 2020.